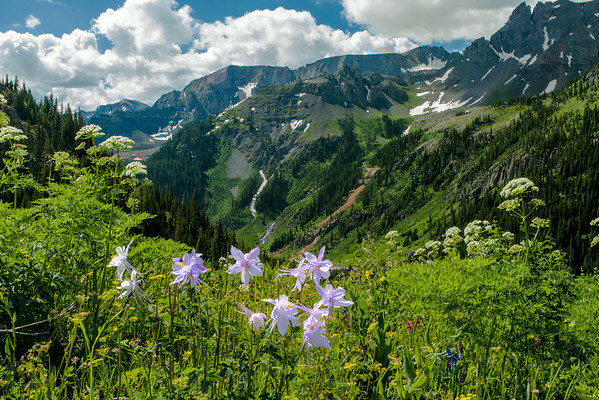 Yankee Boy Basin near Ouray, Colorado is a photographer's paradise. Accessible only via a 4 wheel drive vehicle, this place has everything. In July, wild flowers including Columbines were in bloom. There was still snow in the avalanche chutes and the clouds popped up beginning in mid-morning.